Our daily dog walking is the perfect option when you are away from home all day. Our cuddly cat care is the perfect service for those fluffy felines who deserves the absolute best pampering! 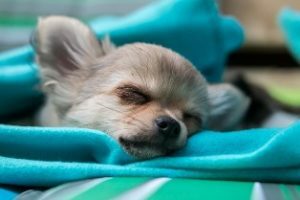 Our overnight care is the ideal solution for those furry family members that need a little extra TLC. Located in Dallas, TX, Exceptional Pet and House Sitting is owned and operated by Damiane de Wit-Guzman. Damiane is committed to providing exceptional care to your furry family. 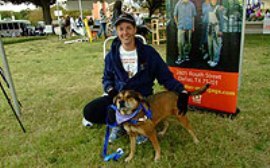 She is certified in Pet First Aid and CPR and has 10 years of experience in veterinary pet care. In addition to providing first rate pet care, Damiane has a goal to respect your privacy and your home. Pet Sits Daily visits to your cherished pets. Dog Walks Come home to a more relaxed dog. Overnight Pet Care Ultimate care and comfort. House Sitting Relax knowing your home is safe. Your pets can stay in the comfort of their own home, where they feel safe and secure. Your pets will receive personal attention and exercise. Your pets can stay on their regular diet and routine. If your pets require medication, you can be sure they never miss a dose. Yes we are insured and bonded. Call, text or email us. We are always happy to answer your questions. We gladly accept credit cards, cash or checks. + Are you certified in pet first aid? Yes I am certified in pet first aid. Why does my dog steal things and how can I make him stop? When we travel, whether it is a long weekend or a long trip, we prefer our “kids” have the comfort and security of their home instead of boarding them. We have been using Damiane and Exceptional Pet Sitting for quite a while and are very pleased with the service we receive. We know the house will be watched and the kids will be taken care of. We highly recommend her service. -R.C. & B.R. Thank you again for taking great care of our kitties. Finding you has helped us feel free to go places and know they are taken care of. We appreciate you and this freedom from worry! -B.S.